Our product range includes a wide range of uv curing lamps for wooden doors. 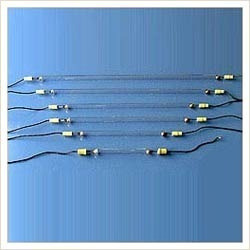 Backed by an adept team of professionals, we are devotedly engaged in offering UV Curing Lamps. The offered curing lamp is manufactured in our ultra-modern manufacturing unit by using best quality components and high-end technology. This curing lamp is extensively valued in the market for its excellent functionality. We deliver this curing lamp from our end after testing properly. Looking for UV Curing Lamps for Wooden Doors ?